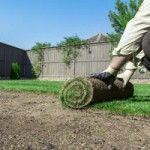 Deciding whether or not to have tree stump removal performed on your property? The choice is yours, but it needs to be based on the facts of your lot. Oftentimes, it just makes more sense to have the stumps removed when you have trees cut down. Keep reading to learn the factors to consider when deciding whether or not tree stump removal is the right choice for you. If a tree has been cut down in your front yard, it’s always best to have the stump removed too. A stump in your yard creates an eyesore. It also complicates your landscaping routine. Plus, stumps often generate new tree shoots, which means you will have to keep trimming those suckers off until you get the stump completely removed. Doesn’t it sound easier just to have that stump ground down right away and be done with it? If you had trees removed from an empty lot, there’s a decent chance you intend to build on that lot. If that’s the case, you still need to have tree stump removal done before building can start. An even, flat building surface can only be achieved when the stumps are gone from the property. The company that grinds the stumps will leave the pulp in the ground, maintaining a flat ground surface and enriching the soil with nutrients. 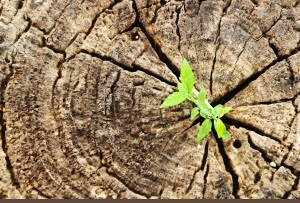 As tree stumps decay, they attract bugs. This may not be a concern if the lot is in a remote location. But tree stumps in your yard will attract termites, and that’s never a good thing in a residential area. Termites cause millions of dollars in damage to homes every year, and it’s almost certain that your homeowners’ insurance does not cover termite damage. Who knew that tree stump removal could prevent such headaches? The smartest choice is to have a stump ground up at the same time the tree is removed. That way, you can avoid paying for two separate visits from your tree removal company. The whole project can be completed at once and you can wash your hands of the entire tree situation. Be bold, and make the right choice. It could save you big money and hassles! If you are in the Atlanta area and have a tree removal situation on your hands, give Su-Tree a call. We are dedicated to complete customer satisfaction at each and every job site. We offer emergency tree removal in the event of a fallen tree that’s causing a safety issue at your home or business. With our complete tree and stump removal service line-up, you can’t go wrong. Su-Tree has proudly served Alpharetta, Marietta, and north Georgia since 1989. Our excellent customer service ratings speak for themselves. Ready to bring in the best tree removal service in the Atlanta area? Call Su-Tree at (404) 392-6935 for a free estimate on tree stump removal.